Russ Hiner is an active real estate investor, coach and mentor. Russ teaches several workshops throughout the year on a variety of real estate investing topics such as Negotiations, Wholesaling 101, Wholesaling 401, Real Estate 101 and more. Russ got started by working as a medical technologist in hospital and manufacturing setting before becoming involved in real estate. One year later the company shut down that department. RUSS lost HIS job! The life lesson was, he needed to work for himself and started the entrepreneurial adventure. Russ started out 30 years ago by working the exit strategy of “buy and rent”. His business started and stopped. Then as Russ put together more money it started then stopped. Due to these life lessons, Russ became an individual who likes to put together systems and people to allow everyone on the team to prosper, and the machine to roll. With this philosophy, Russ was able to build a business system that works all the time in any economic condition. He focuses on replicating himself in order to move his business forward. Russ is passionate about what he does. He is constantly learning. Over the years Russ has used education, mentors and surrounded himself with people who have help further his career. Russ has been consistently reaching goals in real estate for 30 years. 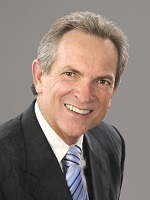 He worked with Rich Dad and Russ Whitney as a mentor for 13 years. Keeping a great sense of Humor has also helped. In 2004, Russ wanted to move in to the B quadrant described in Robert Kiyosaki books. Russ started a manufacturing business Media Safe, Inc and in 2006 started an investment company. Russ’s current real estate business is focused on the rentals, wholesale real estate transactions, lease options, notes and deeds, loaning private money, commercial and note buying. Russ believes that your guarantee success depends on you action.